We’ve became interested in architecture after we started travelling. And though we are quite novice in the topic we’ve learned mostly everything we know about architecture during our travels. Our enthusiasm made us start this blog post series so that we can share more about all the wonderful pieces of architecture we’ve encountered on our way around the world. There are churches, palaces, chapels, city halls, parliaments, skyscrapers… who knows what else. And they all touched and impressed us in a unique way. Like Milan Cathedral. 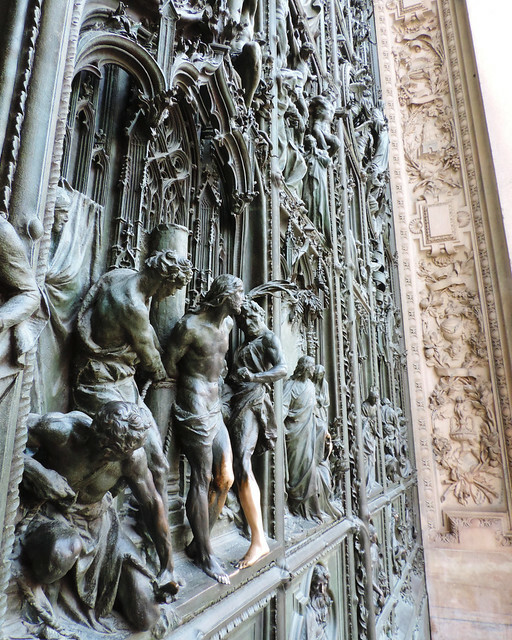 Why has Milan Cathedral impressed us? 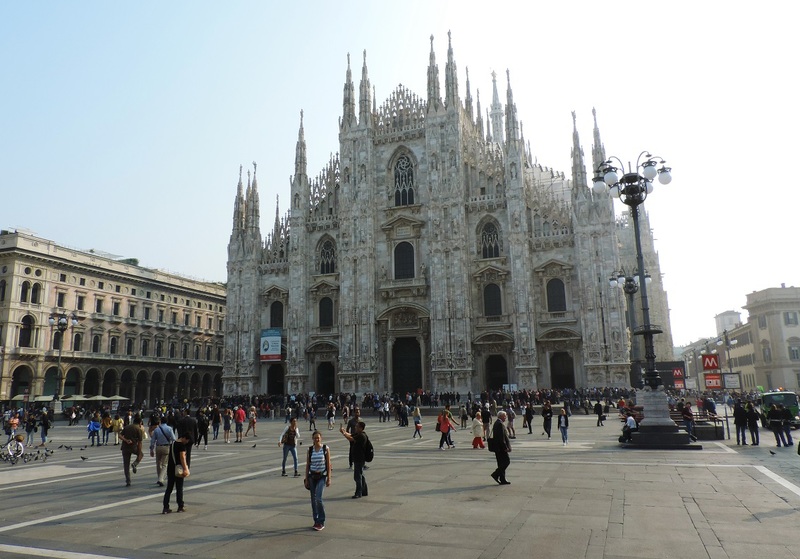 When we bought our air tickets to Milan last year we didn’t have any idea about what to see there exactly. 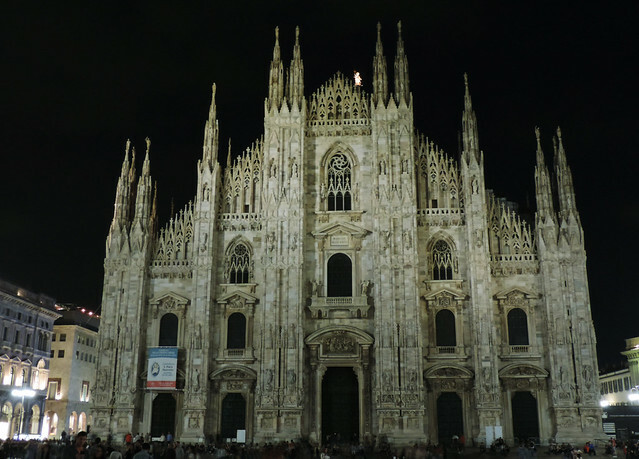 Except for Milan Cathedral – or the Duomo (Duomo di Milano in Italian). Well, Milan turned out to be a nice surprise, an interesting mixture of old and new. 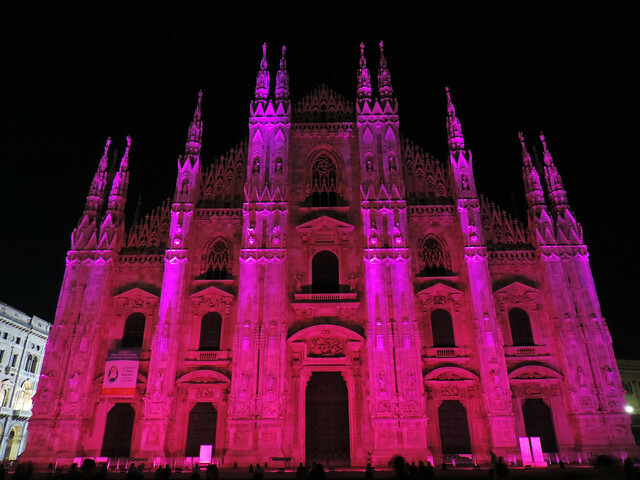 And the Duomo did impress! Apart from its size – which is enormous! – it has countless statues and gargoyles and a rooftop that can actually be visited. Going up to the roof while having a close view of the statues and the surrounding square and walking among the forest of spires on the rooftop terrace was the best about this cathedral. It also happened that we witnessed it lit up in pink at night. It was not Valentine’s Day but a breast cancer awareness event and we saw hundreds of pink balloons flying up in the air in front of the cathedral that night. 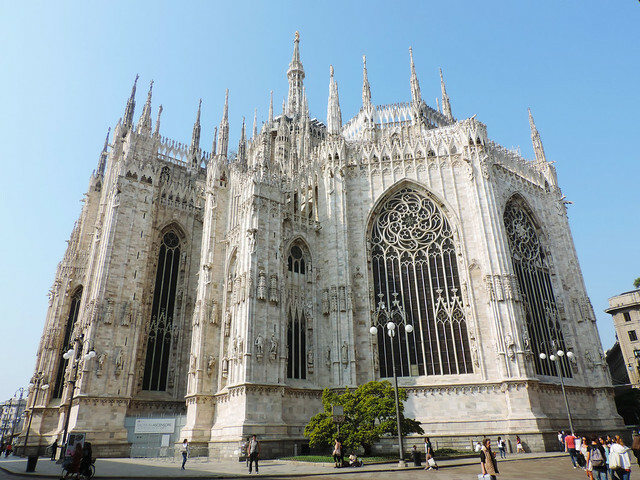 Milan Cathedral is the largest church in Italy. (We don’t count St. Peter’s Basilica as it’s in the State of Vatican City.) Moreover, it’s the fifth largest Christian church in the world. It’s 158.5 meters long and 92 meters wide and about 40000 people can fit in it comfortably. No wonder it took nearly six centuries to complete this Gothic giant. Its construction started in 1386 and it was Napoleon who actually finished it in the early 19th century. One thing we know and love about Gothic is gargoyles! 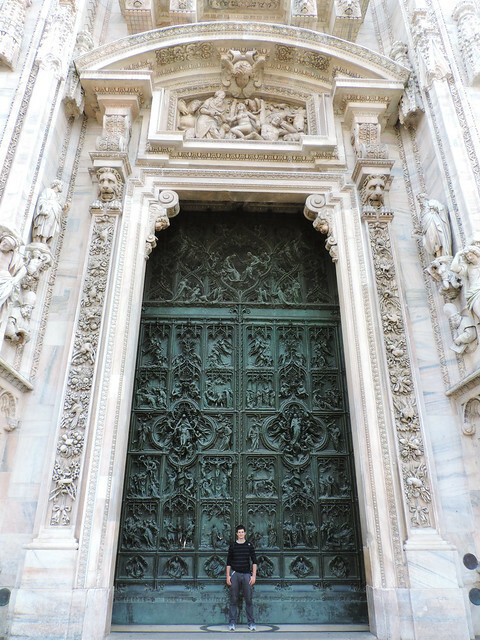 Milan Cathedral has more than a hundred of them. Then there are more statues on this building than any other in the world. 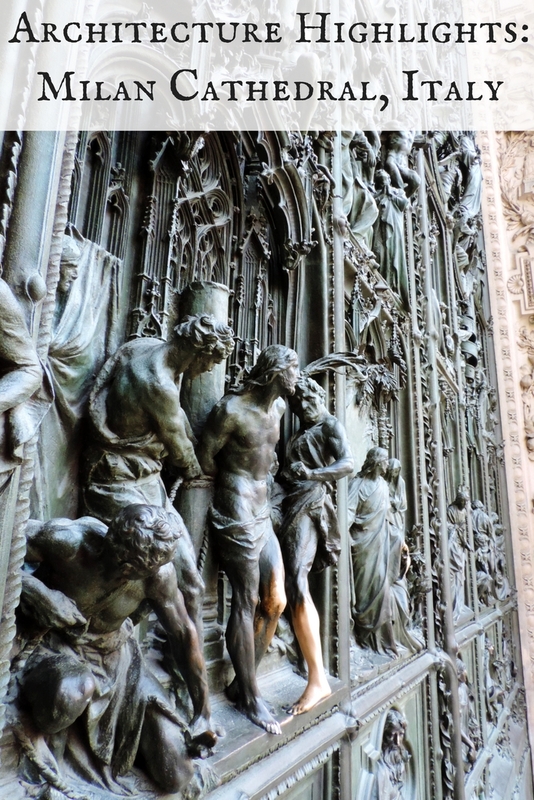 3000+ statues decorate the cathedral – of which more than 2000 are on the exterior. The highest point of the cathedral is the Madonnina (Little Madonna) that is a 4.16 meters tall golden statue of the Virgin Mary. It shines brightly in the sun and it’s brightly illuminated at night.